Whether you’re looking for block paving, tarmac or gravel, we can design and install your new driveway to help you transform your outdoor spaces. 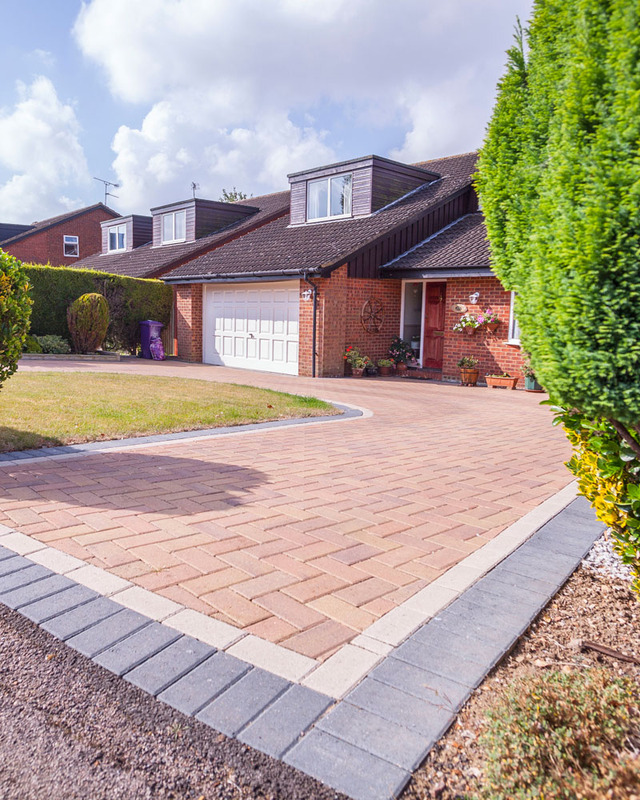 The pathway to your home, a new driveway not only adds value to your property but enhances the overall appearance and provides visitors with a great first impression. We specialise in installing block paving, a popular material for both driveways and patios. There are a wide range of styles, types and colours available and we can help you choose a block paving solution to suit your home. Paving bricks are long lasting and durable and can complement both traditional and contemporary homes. Along with driveways we’re also pleased to offer a complete range of landscaping services including decking and fencing. We can design your outdoor spaces to suit your home, your lifestyle and your budget. Working in the industry for over 25 years, we’ve gained a wealth of experience laying both driveways and patios at homes with outdoor spaces large and small. We will quote you a guaranteed fixed price and assign you a dedicated team for your job. We’re proud to deliver high quality workmanship and a high level of customer service, and all our work comes with a five-year insurance backed guarantee*.